Pachamama East have appointed internationally renowned chef, John Javier, as Executive Chef of the group. Javier is introducing the exciting Chinese influenced Peruvian cuisine, Chifa, to the London food scene with the new menu at Pachamama East. 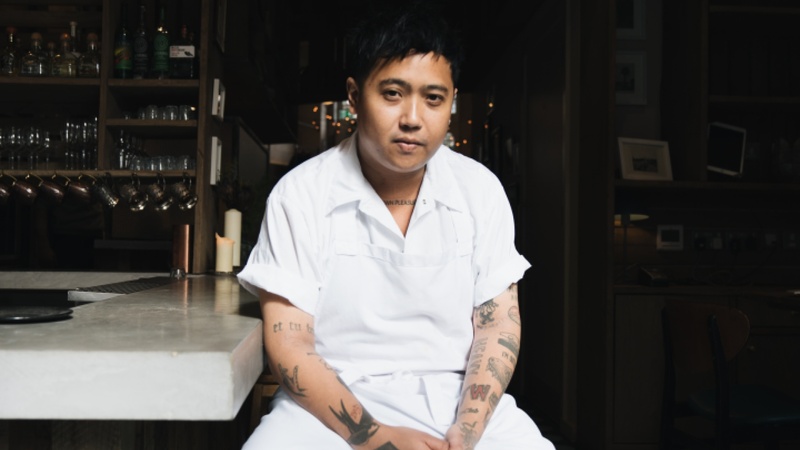 Australian-raised chef John Javier started his career staging at Noma, praised for being one of the world’s best, before working at Quay and Momofuku Seiobo. He later went on to open his own restaurant, MASTER, and then more recently at the helm of Happy Paradise in Hong Kong. Javier has spent the last few years developing Chinese-Peruvian (or Chifa) dishes and techniques before relocating to launch a new menu at Pachamama East in Shoreditch. Experimenting with a distinctive combination of ingredients like doubanjiang, aji manca, plantain and salted black beans, Javier hopes Londoner’s are going to respond positively to this version of much-loved Peruvian food. Chifa specifically refers to Chinese Cantonese flavours when merged with Peruvian culinary traditions, which came about as a result of the steady immigration from China to Peru. Settlers tended to be from the Guandong region in China and made new homes in Lima and the coastal regions of Peru, resulting in Chifa restaurants popping up in Lima from the 1920s onwards. Javier’s Asian heritage merged with his international training and passion to experiment has been a big inspiration for his menu which incorporates iconic dishes such as ceviche, but using typically Chinese ingredients to create completely new hybrid dishes. Located in the heart of Shoreditch on Great Eastern Street, Pachamama prides itself on interiors, cocktails, food and atmosphere in equal measure. The restaurant’s relaxed brunches and lunches lead to livelier evenings perfect for parties and groups. Founded by Iskandarbek Narzibekov, who also owns the Chicama in Chelsea and plans to expand the group further ni 2019, the Pachamama group has always had a keen interest in launching restaurants with progressive, distinctive menus, glorious interiors and a short but punchy and effective cocktail menu. Javier’s new Chifa-inspired menu is now available at Pachamama East, and will be continually evolving over the coming months.